Owner and creative director of Sonipak Design and Communications since 1998, Sandy is a visionary. Through the creation of powerful brand strategies, Sandy translates the vision of a business into an exciting marketing campaign. With a career spanning 28 years, Sandy’s experience in art direction, graphic design and marketing has fueled her creativity, passion and inventive design skills. Sandy began her career upon graduating from the University of Baltimore with a degree in corporate and business communications. From her early days as an art director at a prominent ad agency, she was admired for her dynamic creativity, her ability to establish and maintain effective working relationships, and her unique artistic balance fused with an eye for edginess. A consummate professional, Sandy is loyal to her client base, providing individualized, personal planning that will put any business on a solid footing in a demanding market. Volunteerism is second nature to Sandy. Her family-first philosophy was the driving force in her own business model, which she now has extended to the community. She has served on the board for the Rockfield Foundation, coordinated fund raising events and promotions for various non-profits, and served in many volunteer roles in her church, local schools and community. Sandy’s passion and drive permeates her work and home. She is the wife to Harford County’s most impressive contractor (wink!, wink! ), Kevin Kapinos, owner of Kapinos Builders. 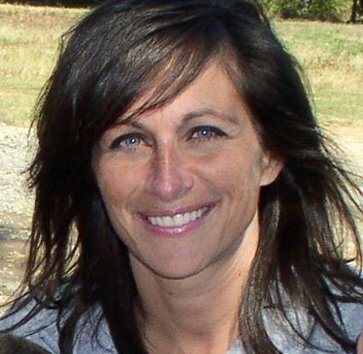 She enjoys spending time on the athletic fields with her three super kids, Garrett, Lars and Gwenivere. An avid concert-goer, “metal-head”, gardener, art-lover and medieval history buff, Sandy is a modern day “Renaissance woman”! Well versed in building community connections, Melissa has the enthusiasm, knowledge and experience needed to propel your company to success. As a former small business owner, Melissa understands the economic realities that proprietors face and is able to plan a budget conscious marketing plan to help promote and build revenue. Melissa served as the Events and Promotions Director for the Bel Air Downtown Alliance and currently sits on the Promotions Committee. She is active in the CPWN, works closely with non-profits, and is committed to building a network within all of the social media platforms. Melissa is results driven, resourceful and devoted to exceptional personal customer service. Her vibrant personality is a business networking magnet! Melissa is part of a happy family with a wonderful husband, three great kids and one big dog! She is eternally grateful for summer and views work as a pleasure of choice! Together, we form an experienced team that will work tirelessly to provide quality customer service and a product that we will be proud to put our name on. 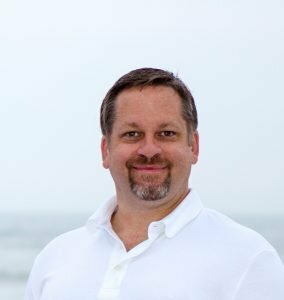 In 1991, Chip and his wife Mandie started their company, CMTS Consulting, LLC., offering web development, network integration and mobile device support for businesses throughout the Mid-Atlantic Region. Chip’s first-hand management experience, along with his considerable technical skills, enables him to find solutions for technical support that work best for fellow small business owners. An expert at translating Sandy’s striking designs into the web, he creates solutions to help small businesses leverage technology. An entrepreneur at heart, Chip specializes in helping a business become an extrovert on the Internet. His experience spans three decades with early web creation in 1994, only two years after the birth of the World Wide Web. When not tinkering with anything with a battery or a plug, Chip enjoys time with his wife and two teenage sons, Cameron and Max. He also enjoys traveling, photography and cars. Aurora and Sandy’s working relationship spans over 27 years proving they are a match made to create great things! Haling from the great land of Canada, Aurora received her degree in Graphic Design from George Brown College in Ontario. After making her home here in the states, she began working as an art director for a local marketing firm. such as complete book design, newsletters, branding and logo design. Aurora is also a skilled and published photographer, specializing in youth sports. When Aurora isn’t busy managing the schedules of her four amazing children, you might find her on a local sports field capturing that amazing shot!